Stand-Up Paddle Board (SUP) Lessons & Tours on LBI! 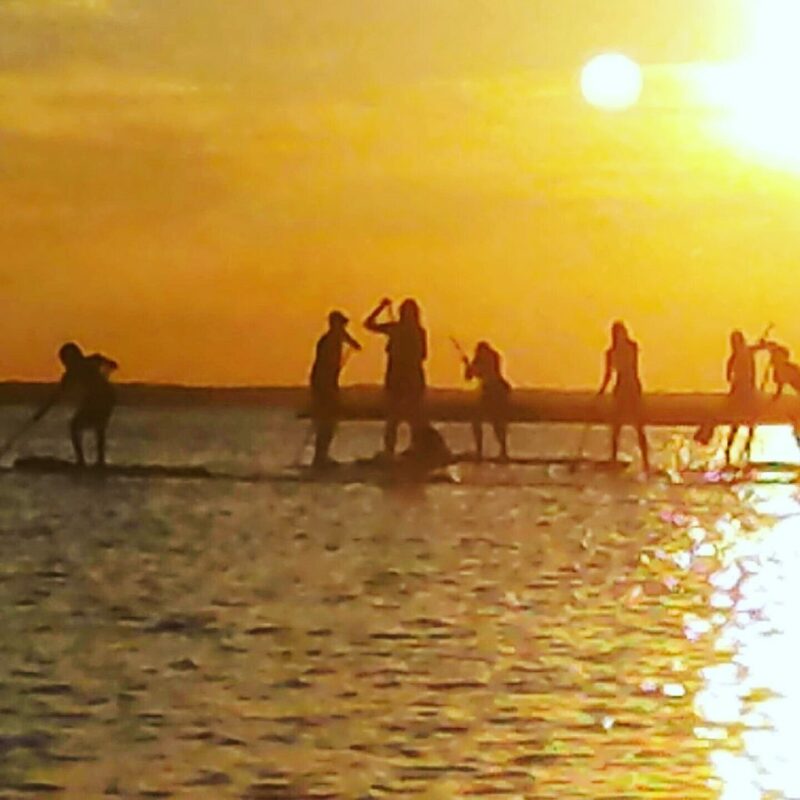 Home » Stand-Up Paddle Board (SUP) Lessons & Tours on LBI! Ready for a unique workout while enjoying the beauty of Long Beach Island’s bays? We take you on a standup paddleboard tour of beautiful Mordecai Island. As a result, from time to time its pristine nature allows us to experience turtles popping their heads up as we paddle by, seen stingrays underneath and see birds nesting. We guarantee you a good time! The effect of paddling on the bay is that you don’t even realize that you are getting a unique workout that will leave you invigorated! All levels welcome! 2 hours! Only $40 per person! Ask about group discounts, supervised private parties or private standup paddleboard lessons. Young or old. We can fit your needs! We specialize in groups! Our instructors are well-seasoned and used to all types of people! They have considerable water safety experience! Besides, this is the perfect activity for family reunions, bachelor or bachelorette parties, and sweet 16’s or bar or bat mitzvahs! Experience LBI on a whole new level! First, it’s a great way to get family and friends together. Second, it’s a way to feel like you are a kid again exploring the great outdoors. Third, it’s a great workout! And lastly, it is great to create a memorable experience on your vacation! Carpe diem! Feel the casual vibe of the island. On top of that, experience a once in a lifetime memory. for Girl Scout and Boy Scout troops of all ages. Uniquely, this gives girls and boys a memorable and fun experience. Furthermore, this is a great end of the year activity to get the troop together.